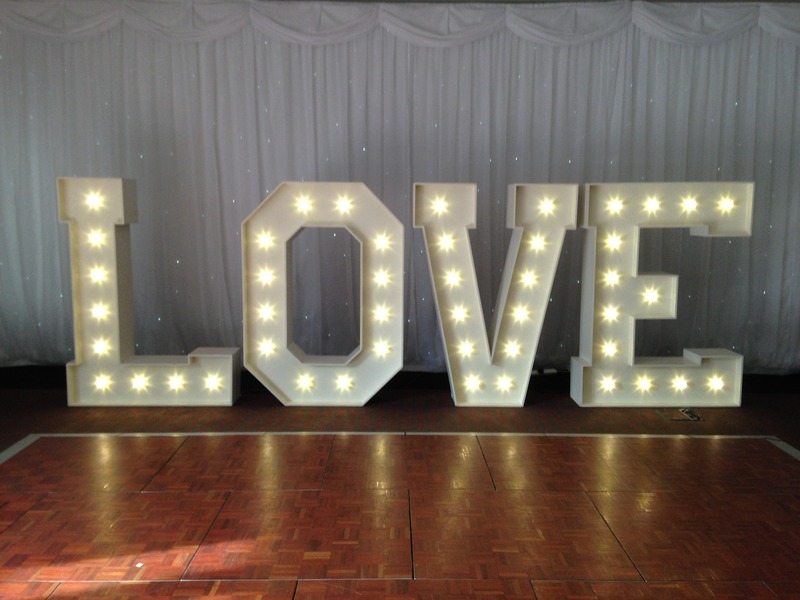 Our Light Up Letters are not the typical. 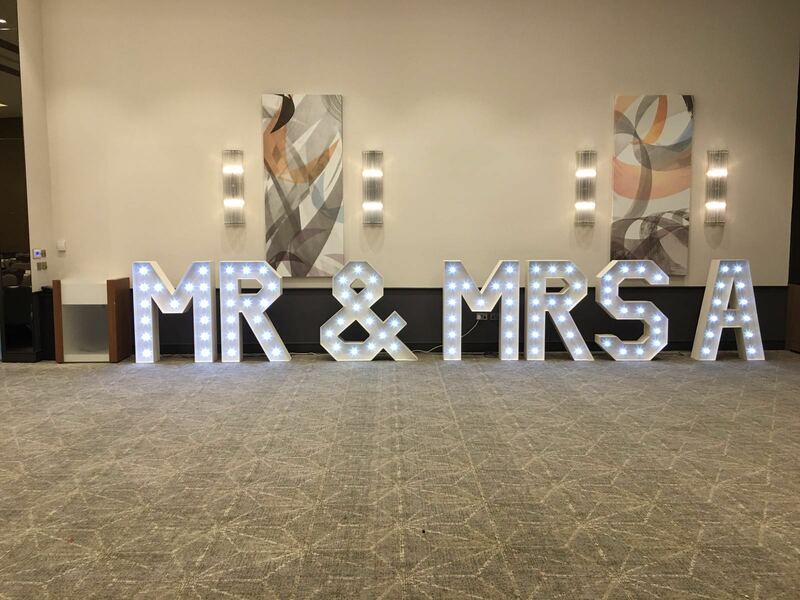 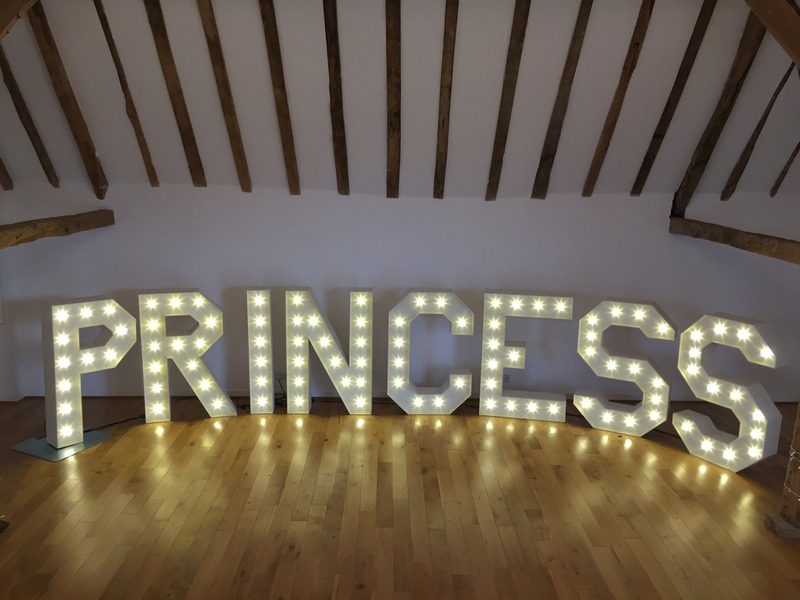 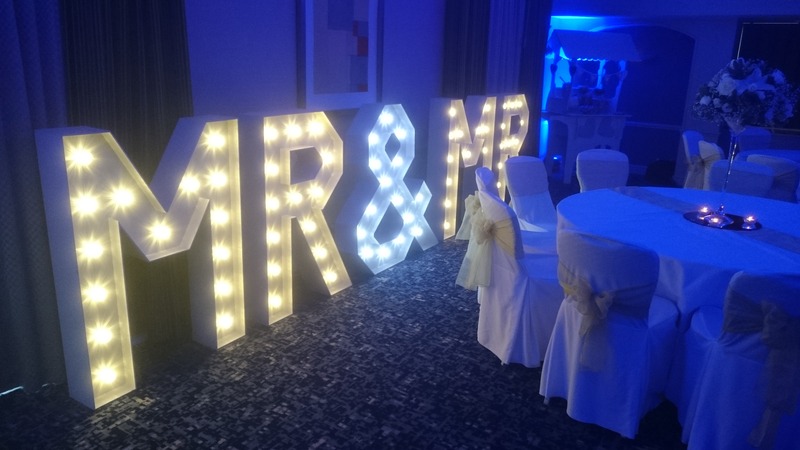 We have decided to go that little bit better and are now proud to offer a range of 4ft and 5ft letters for hire in a selection of bulbs and LED colour changing letters, in pre set words like LOVE or MR & MRS or you can have custom initials or create any words you wish! 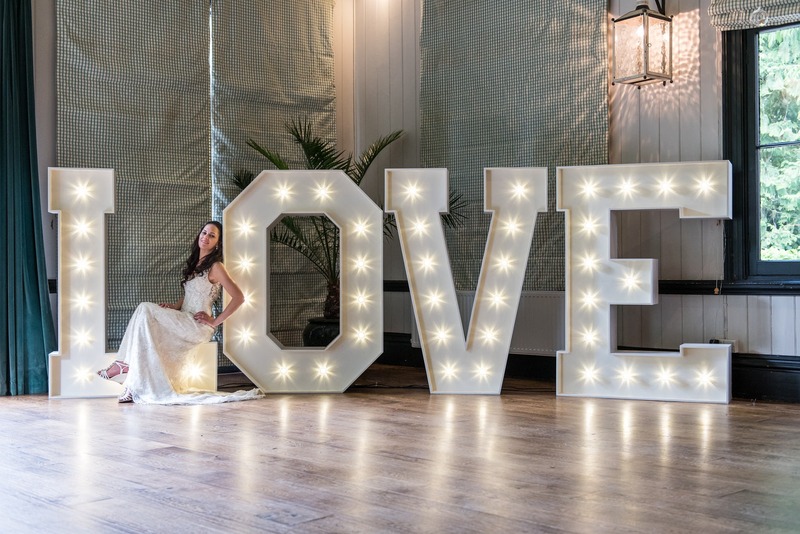 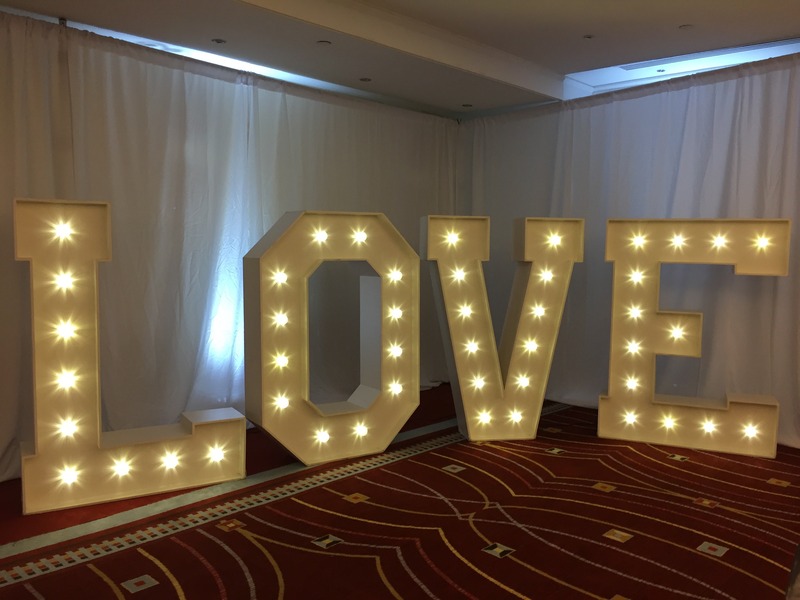 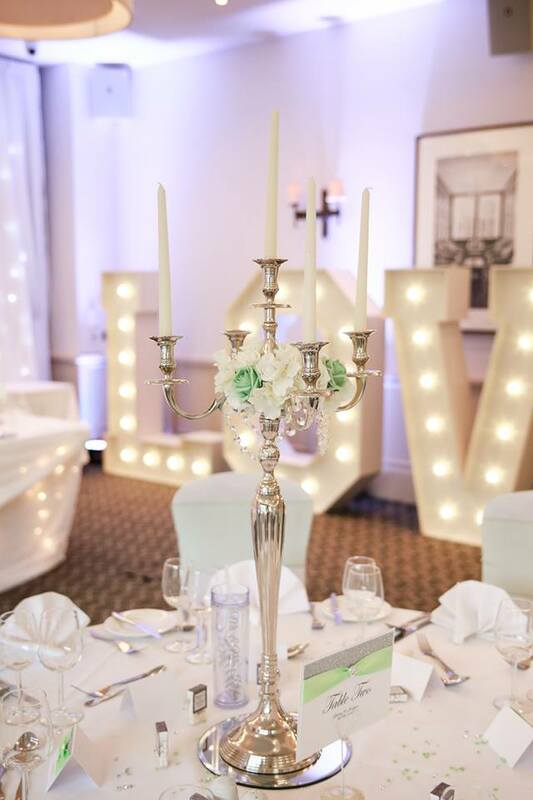 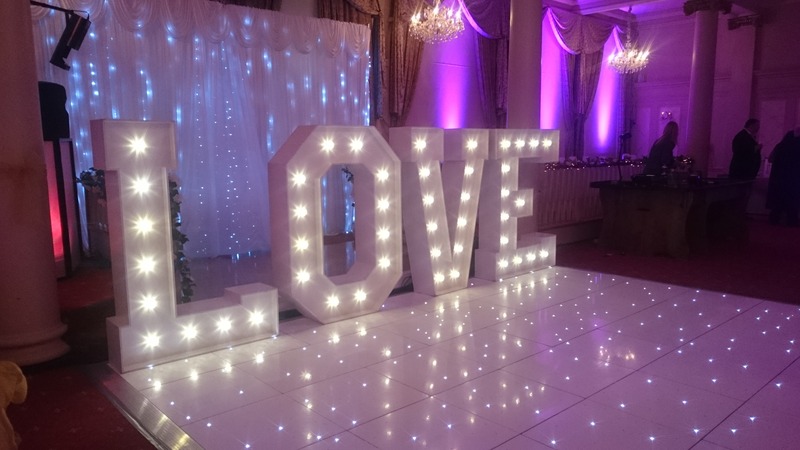 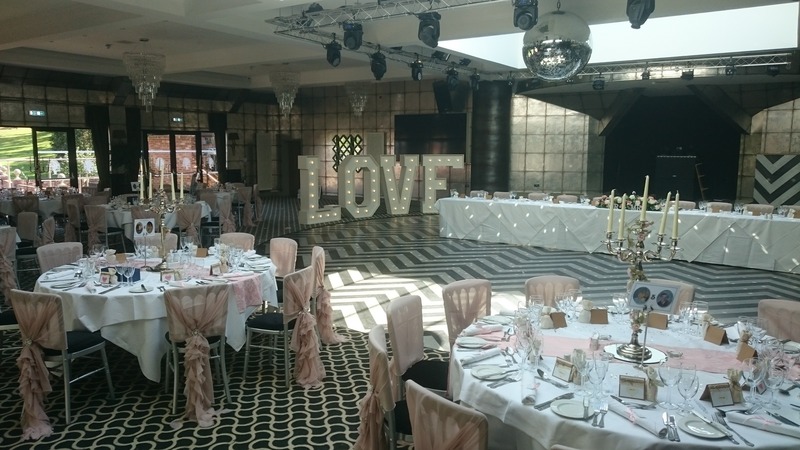 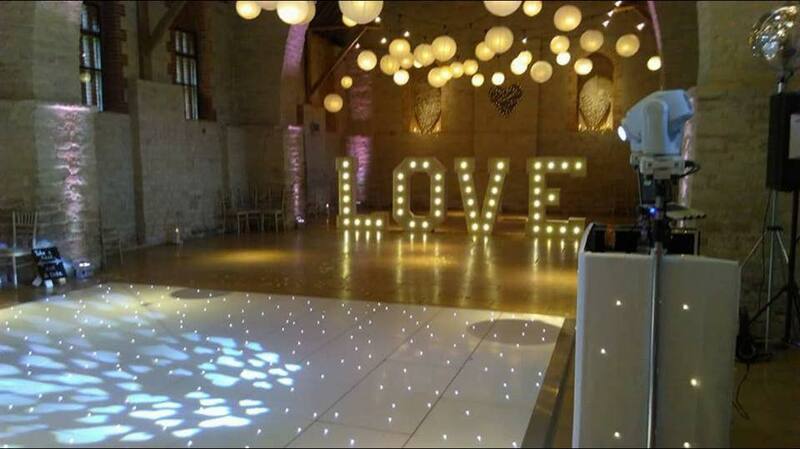 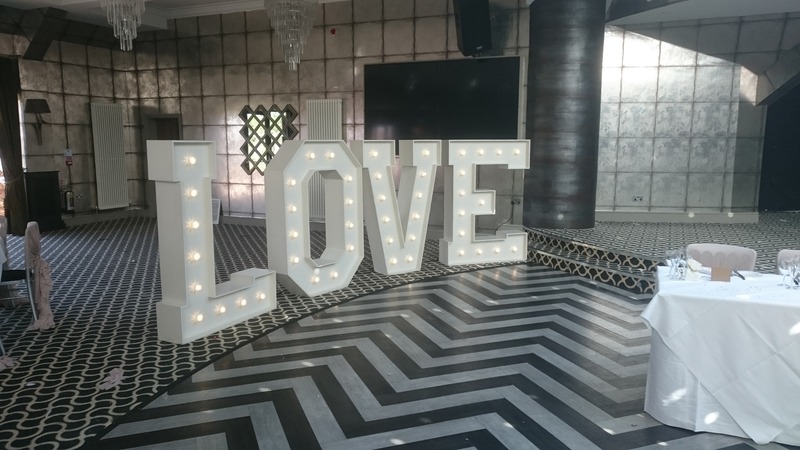 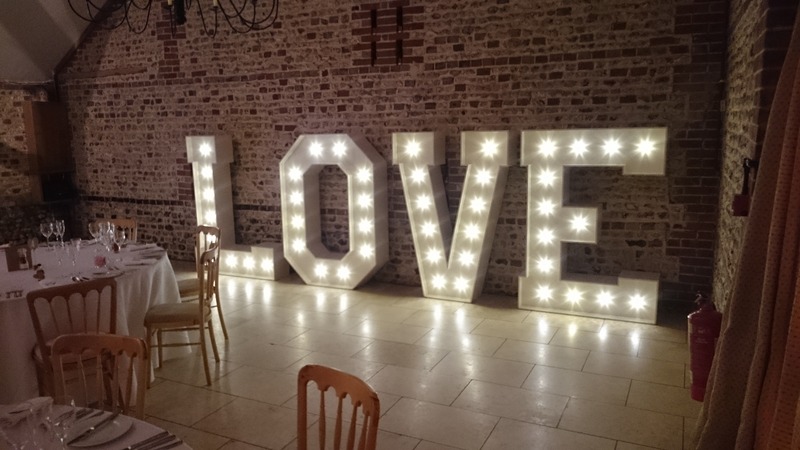 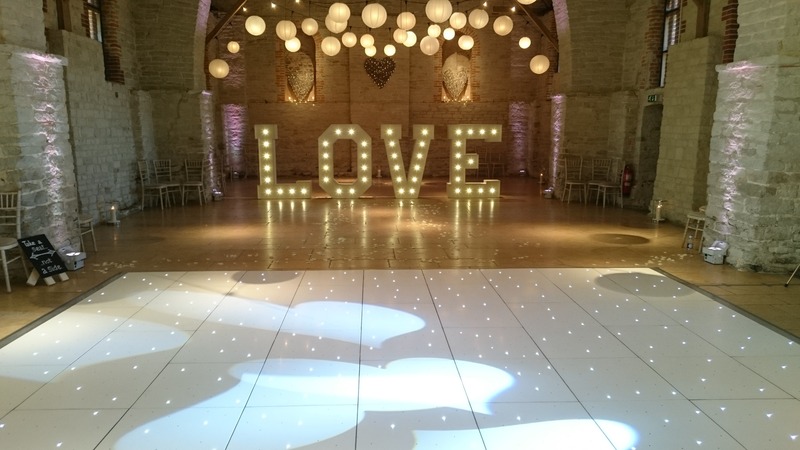 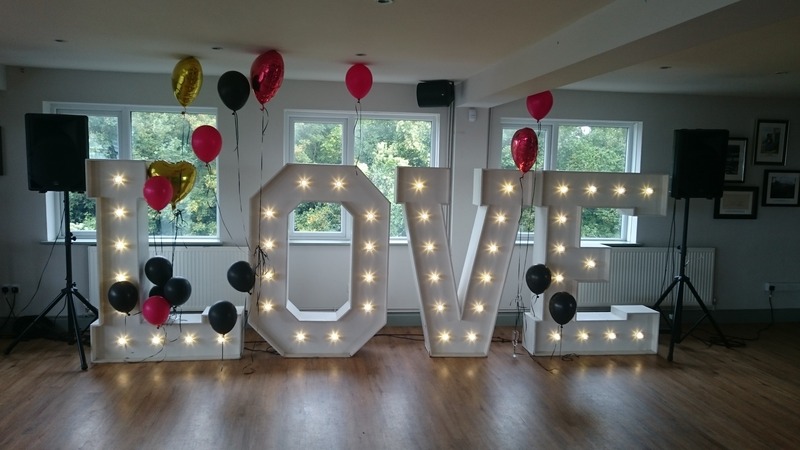 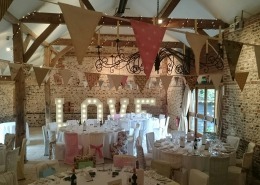 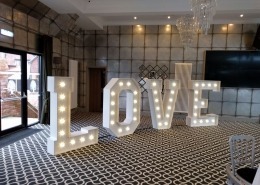 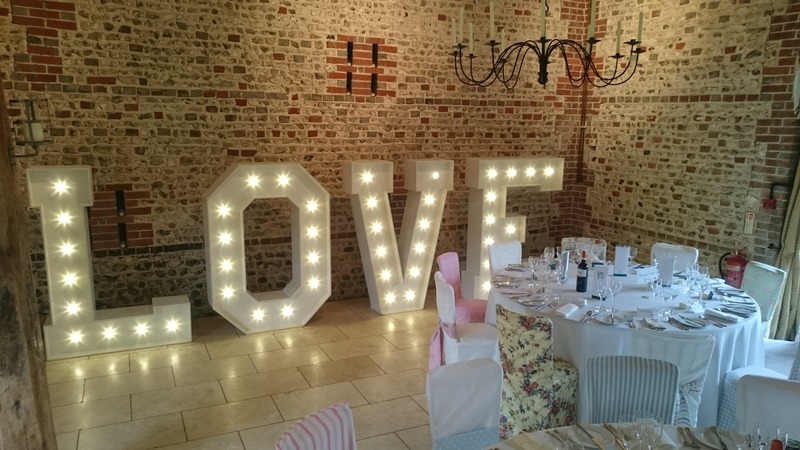 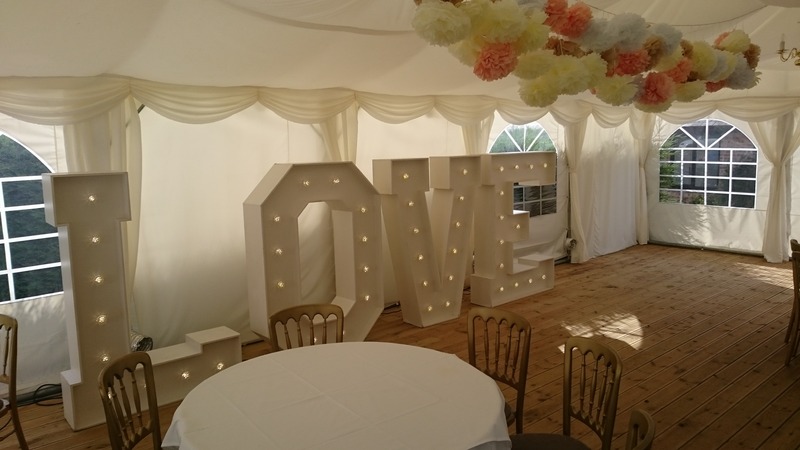 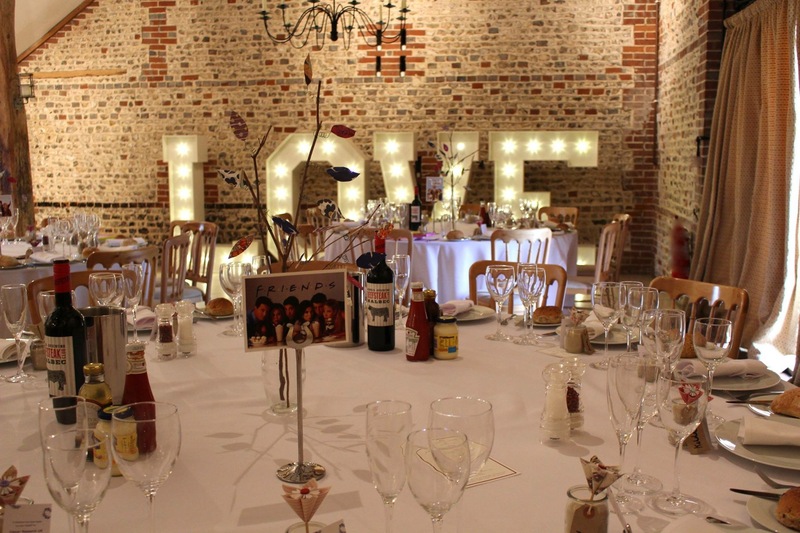 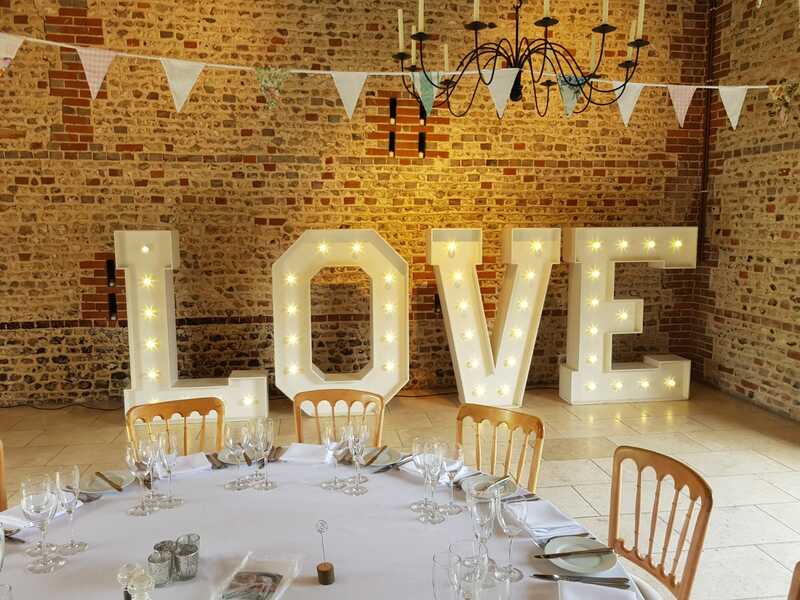 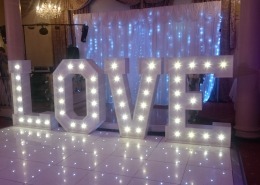 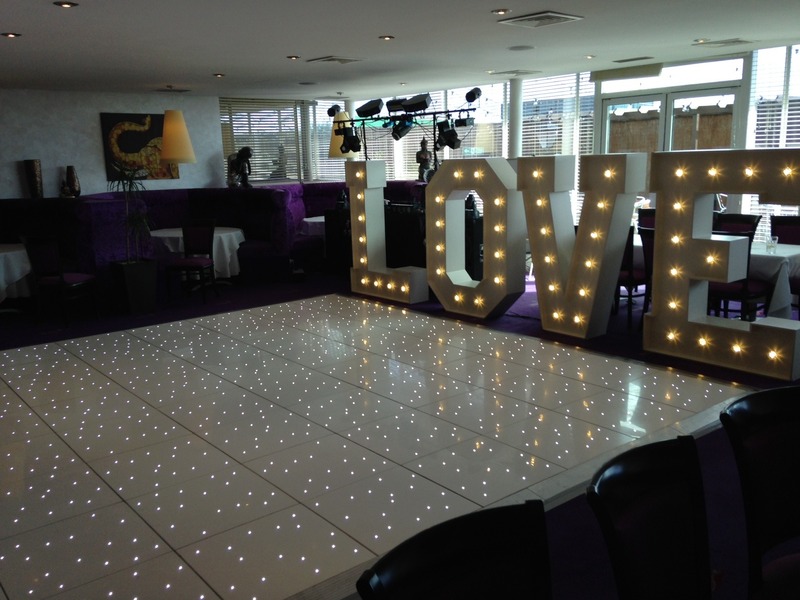 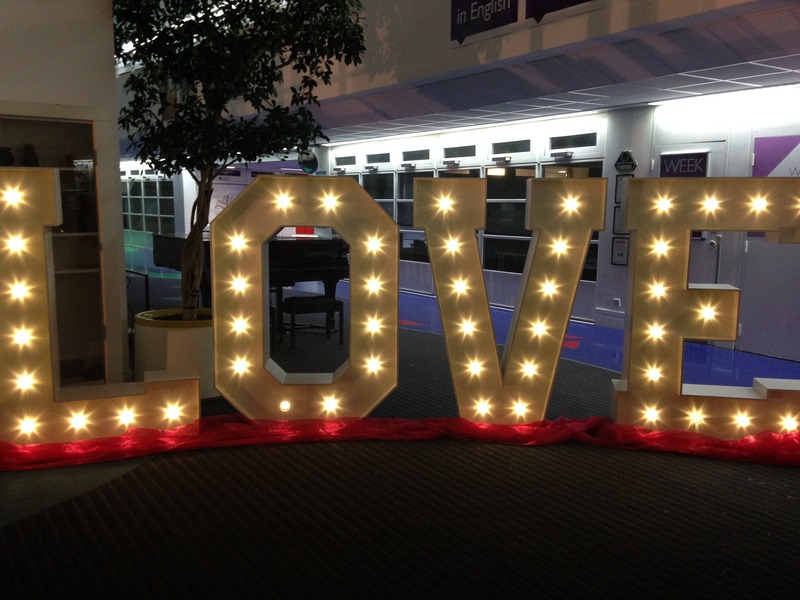 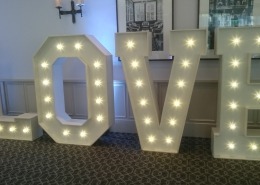 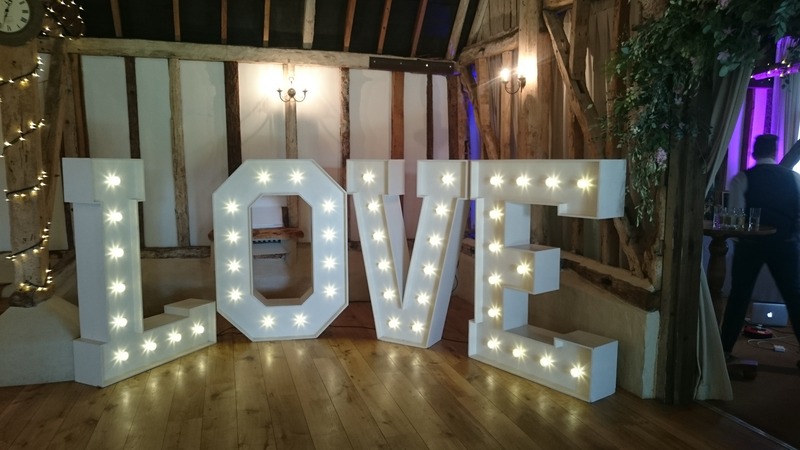 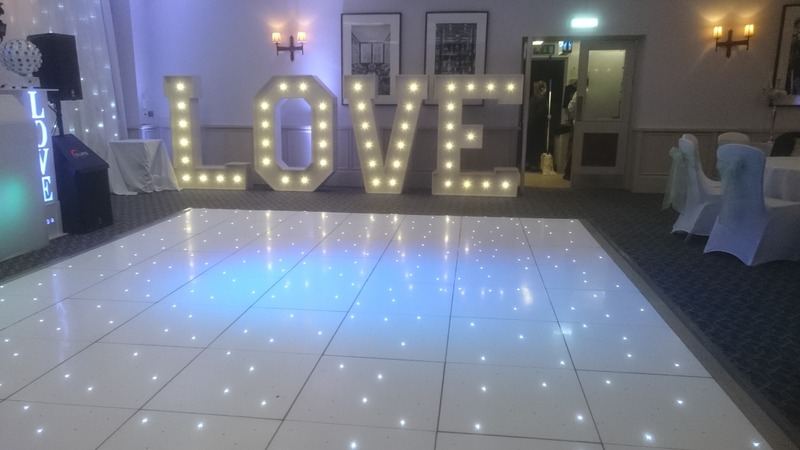 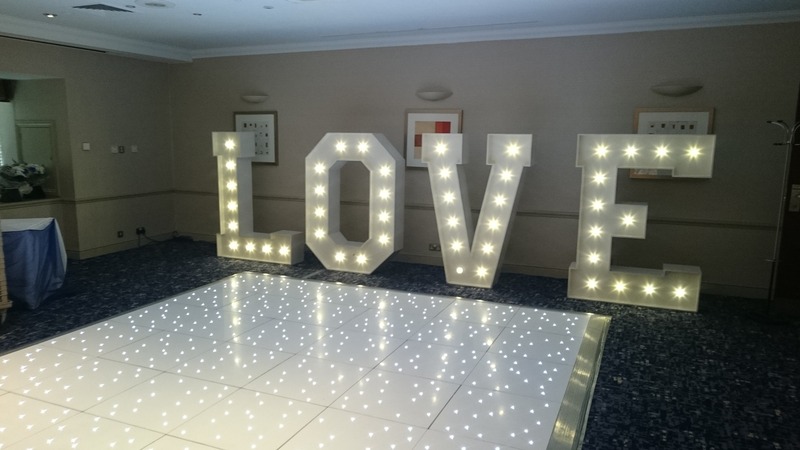 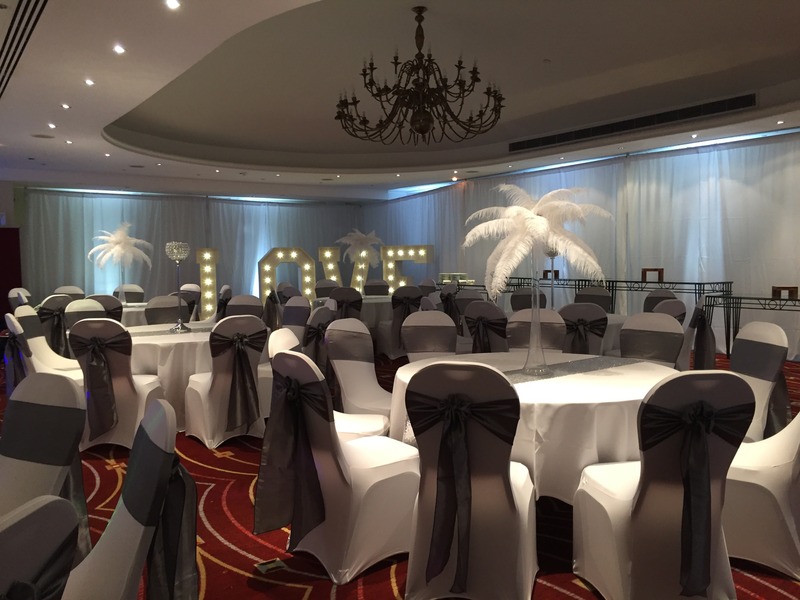 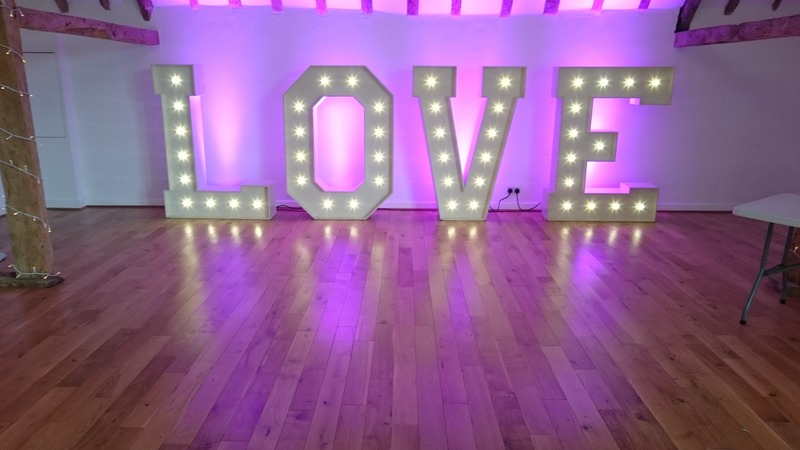 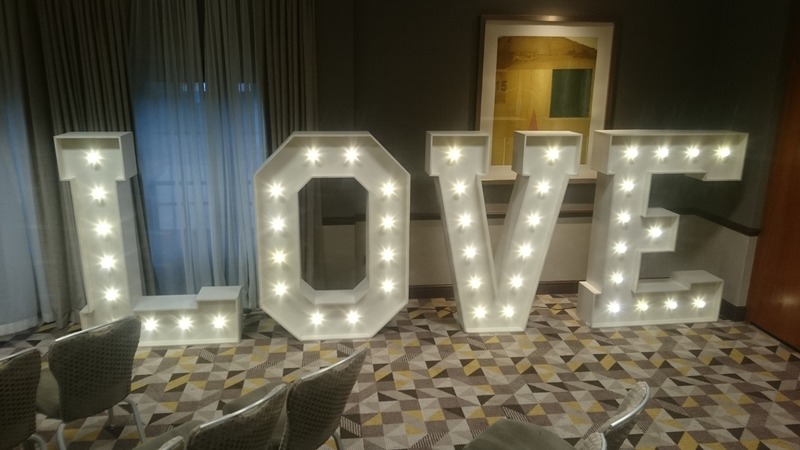 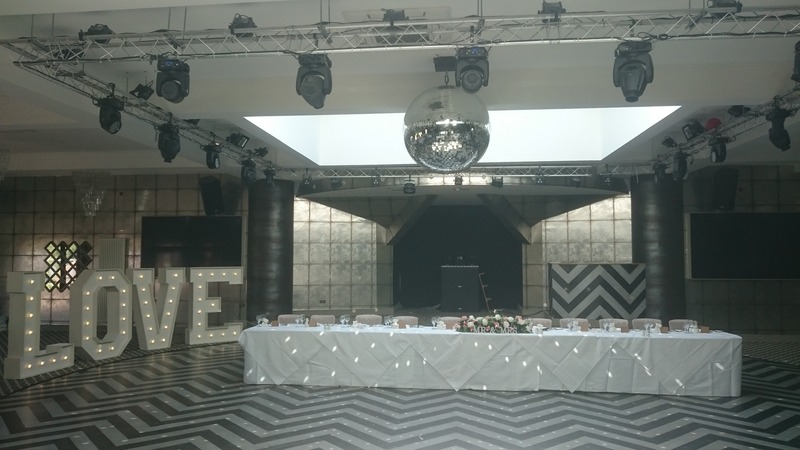 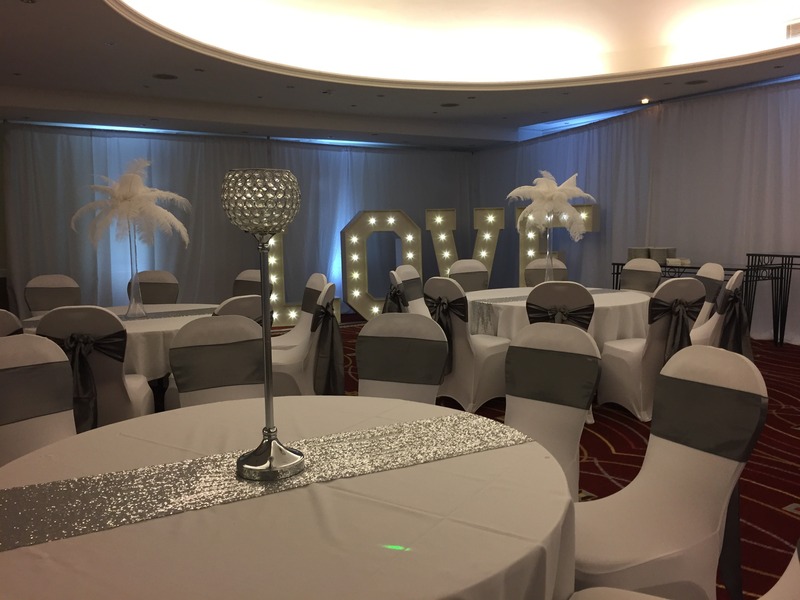 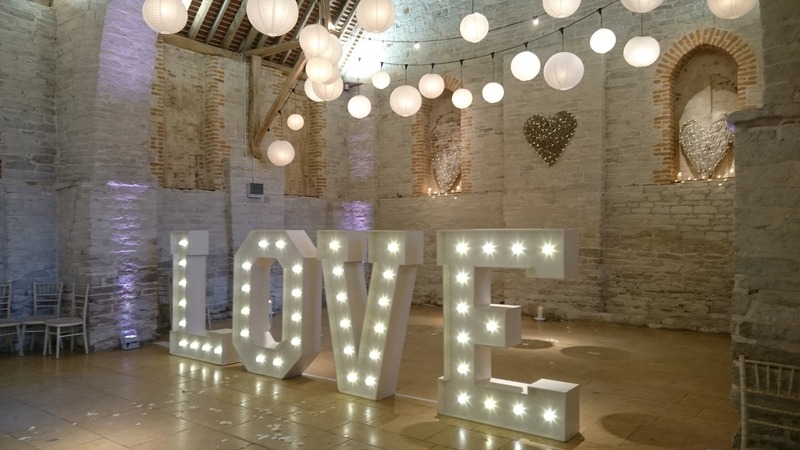 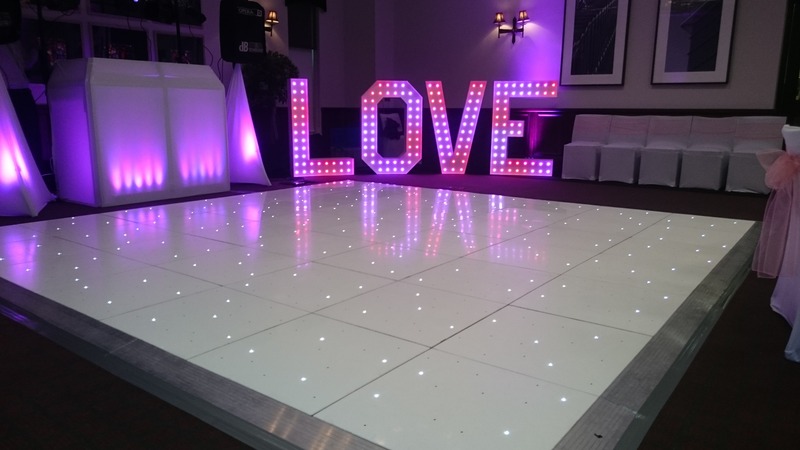 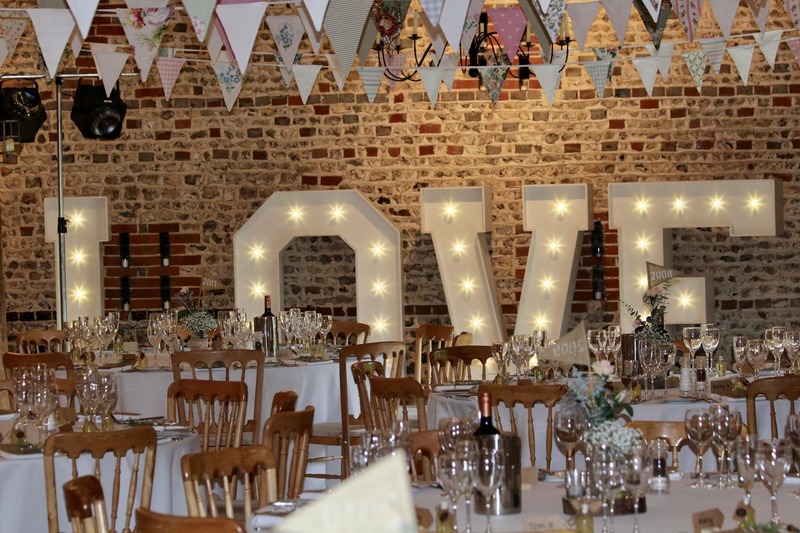 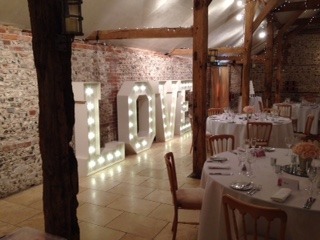 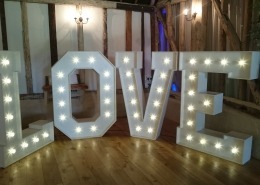 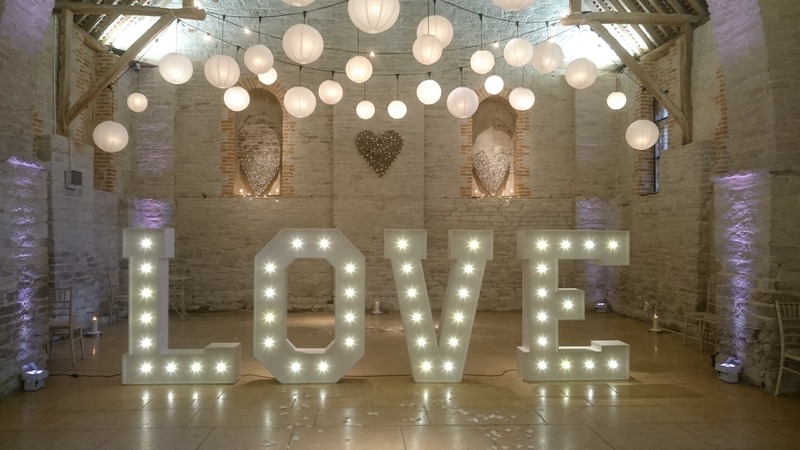 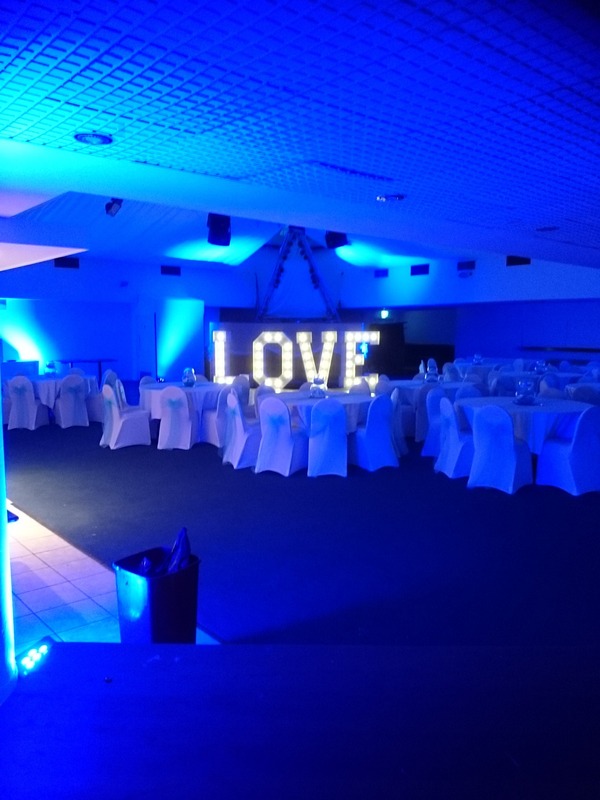 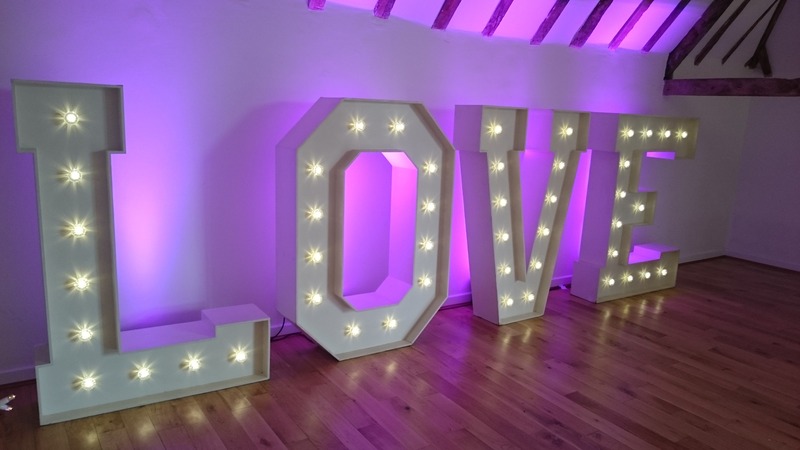 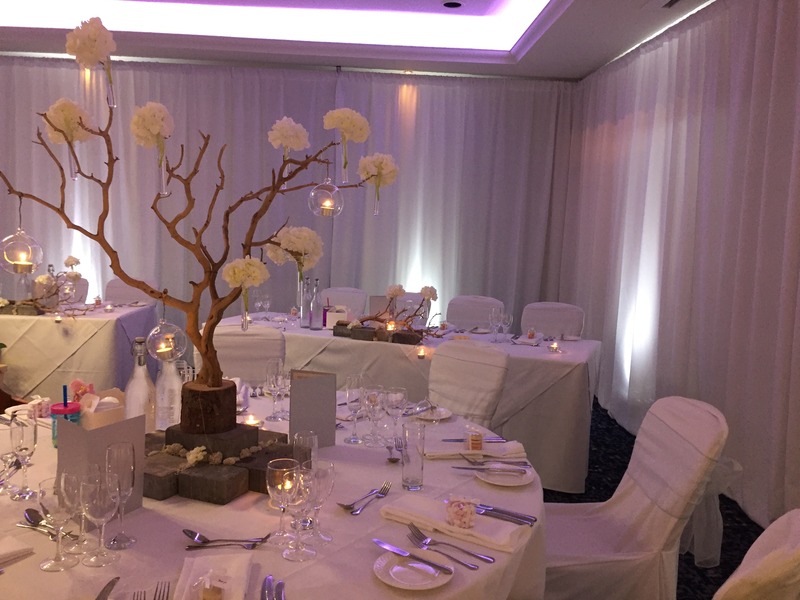 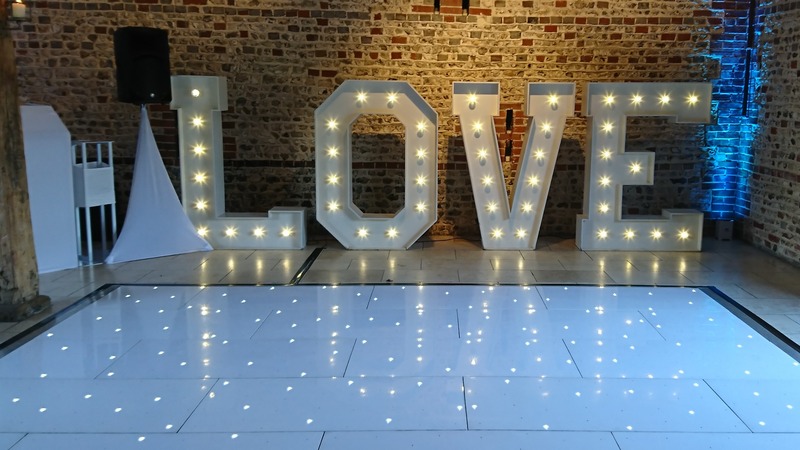 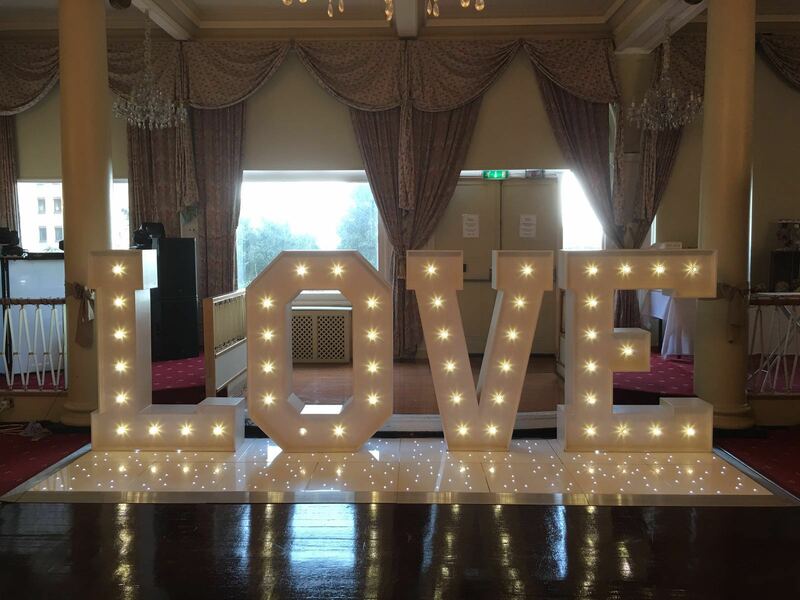 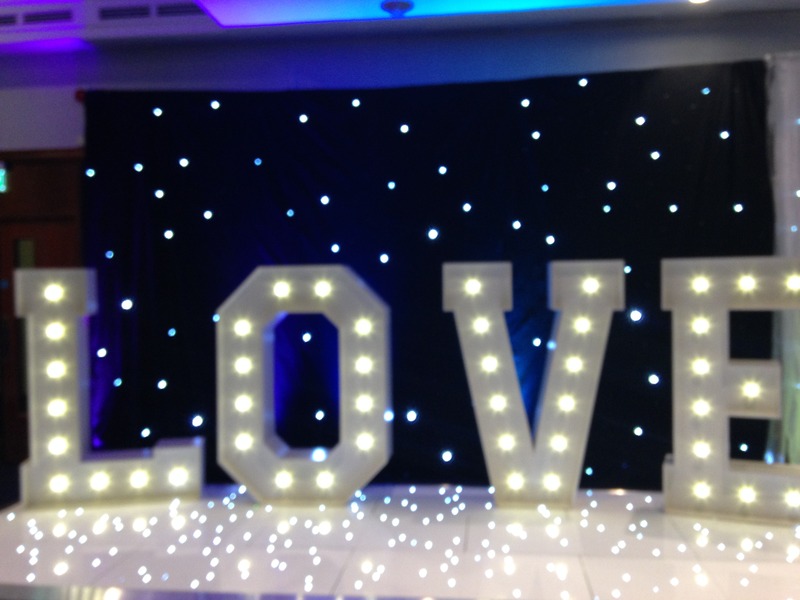 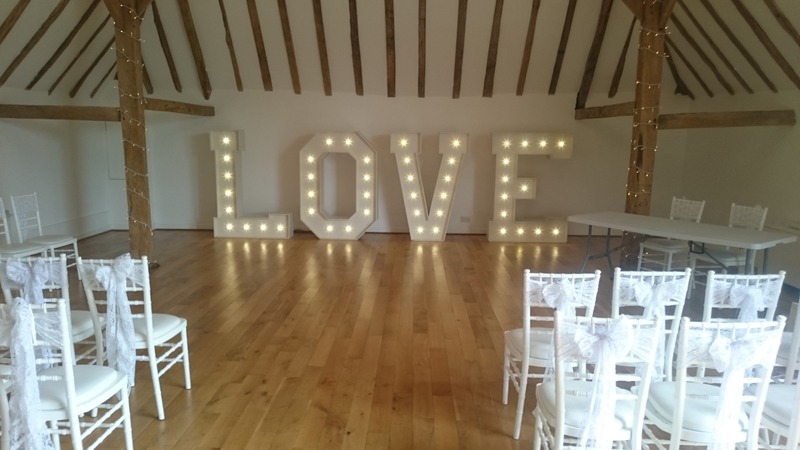 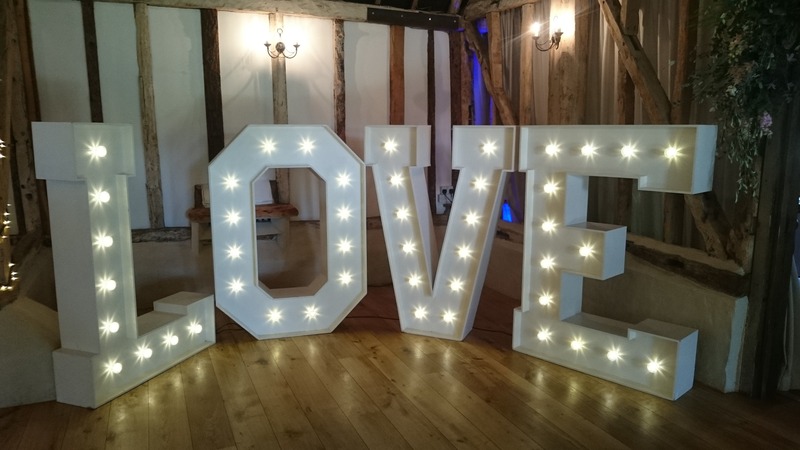 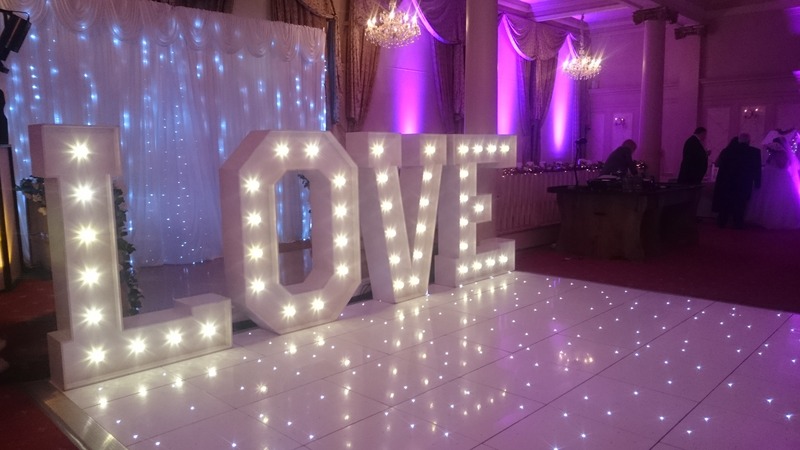 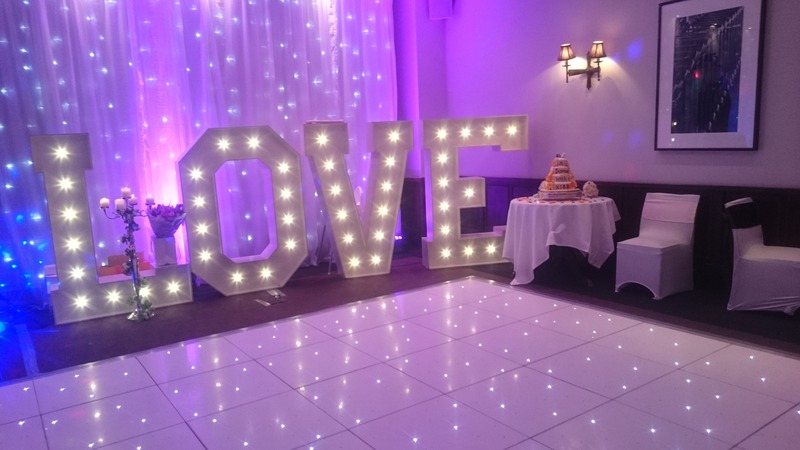 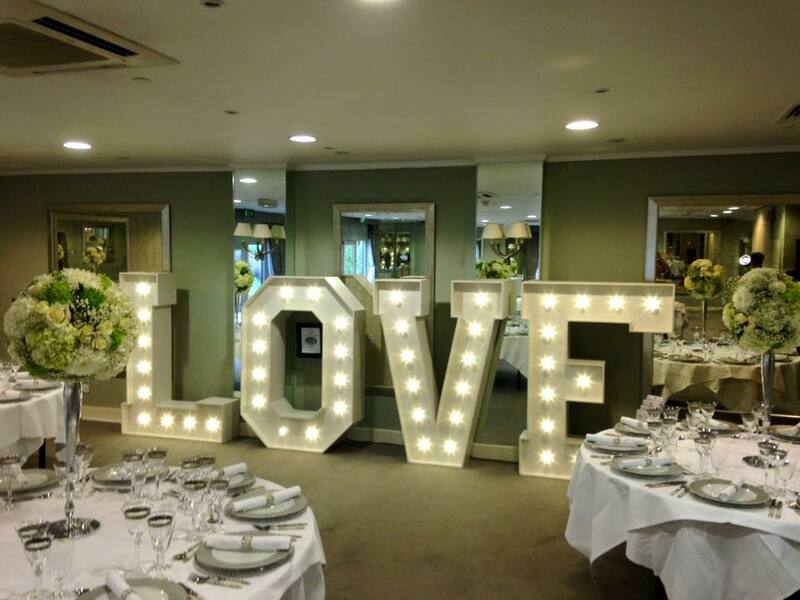 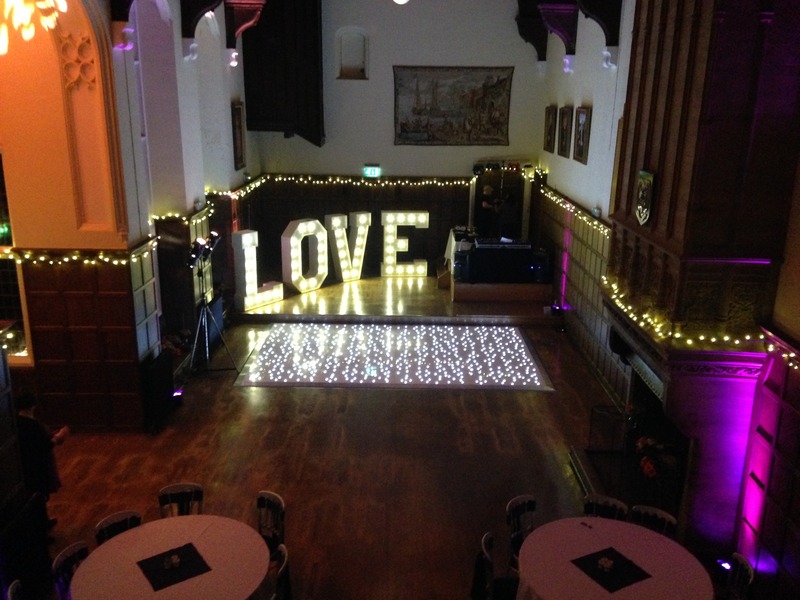 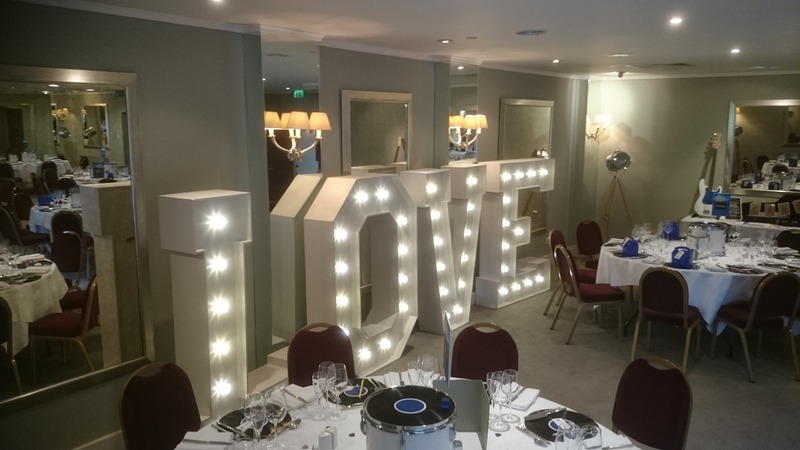 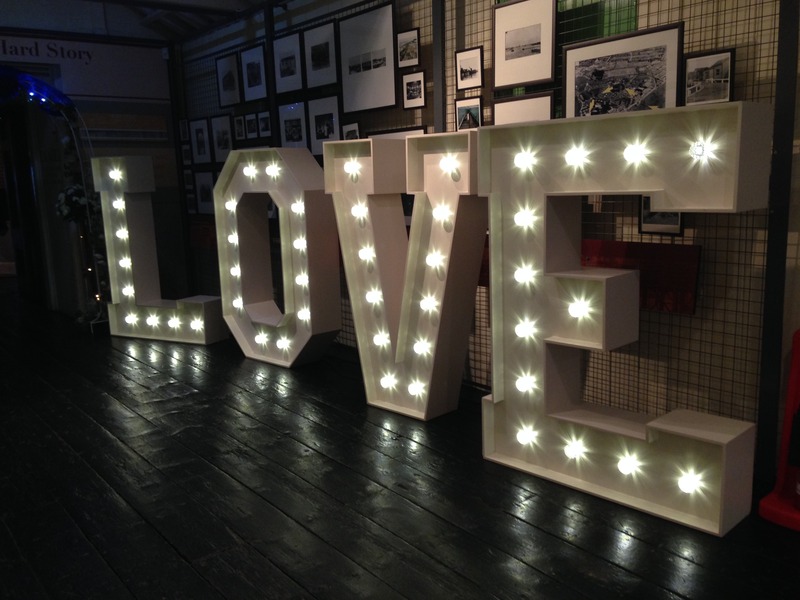 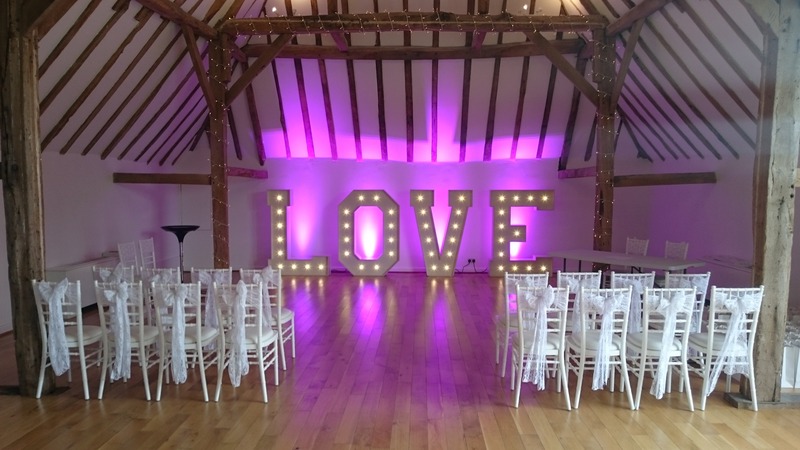 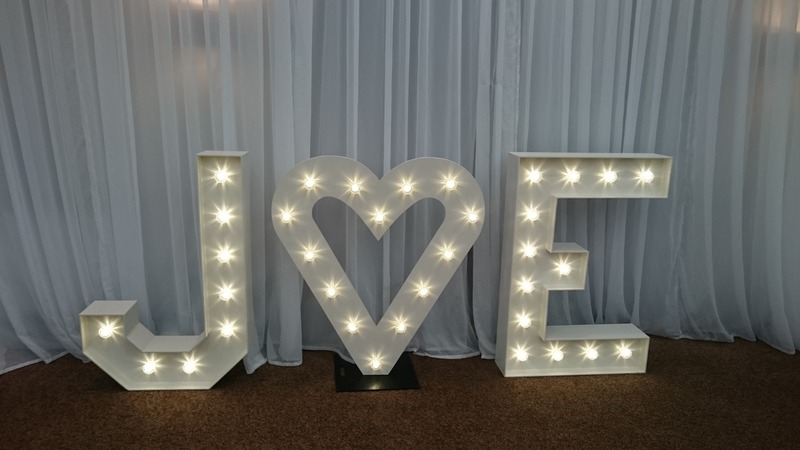 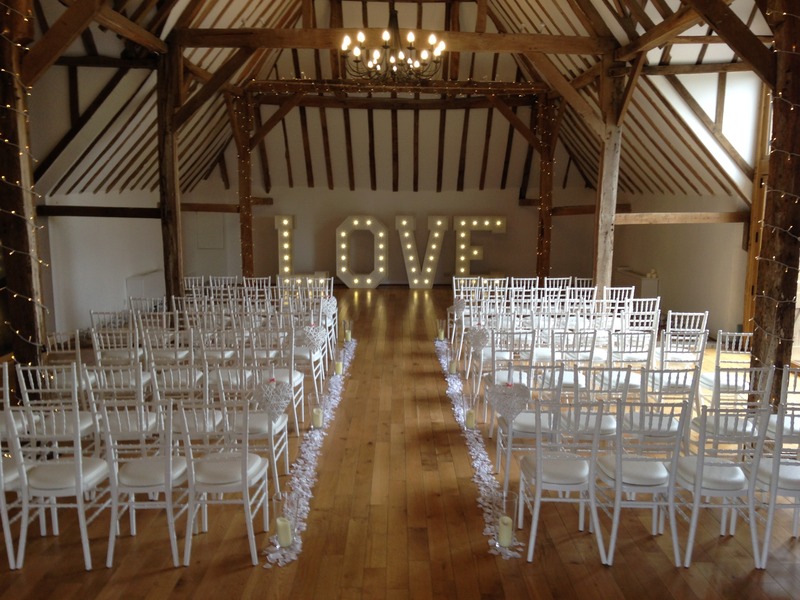 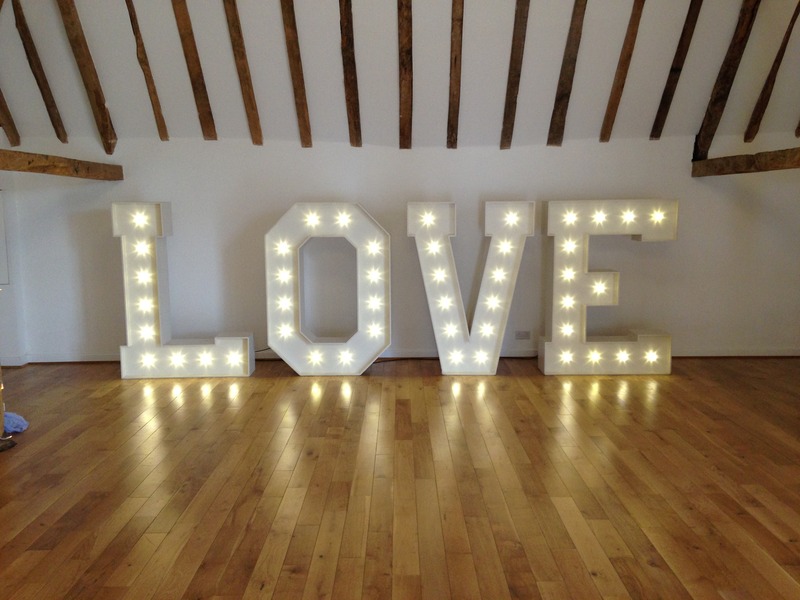 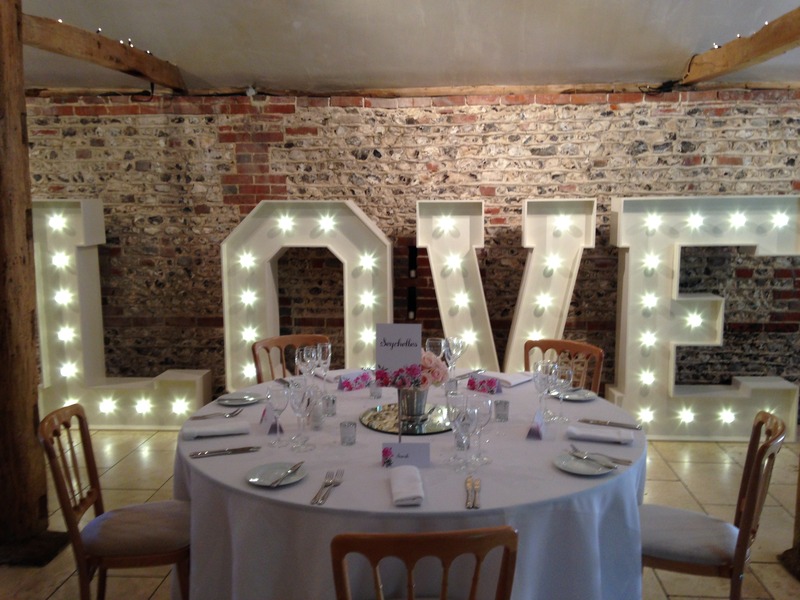 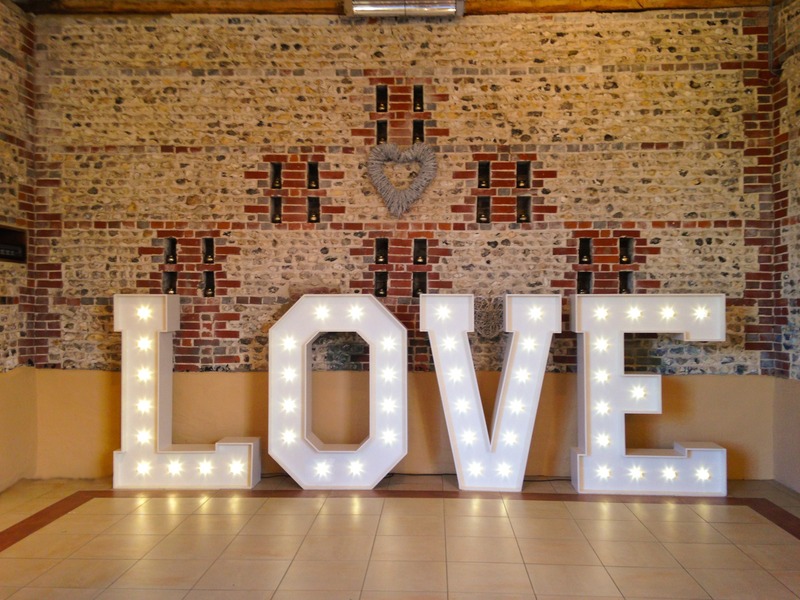 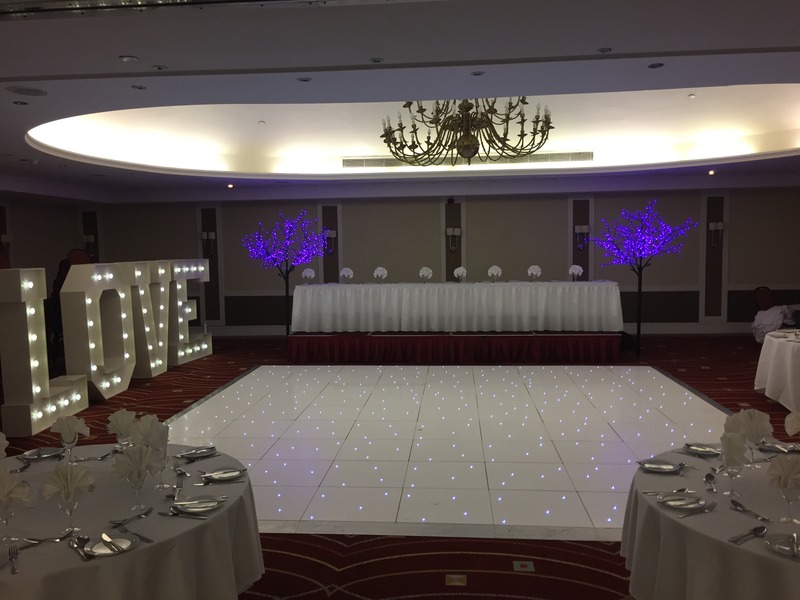 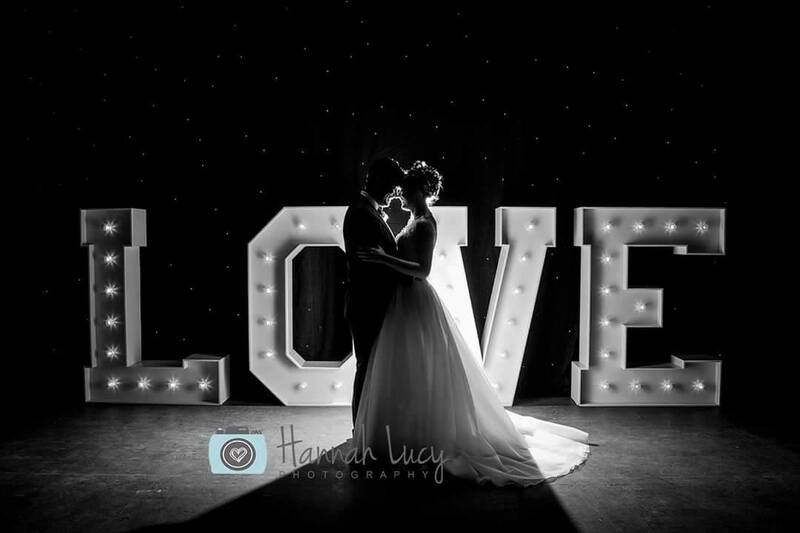 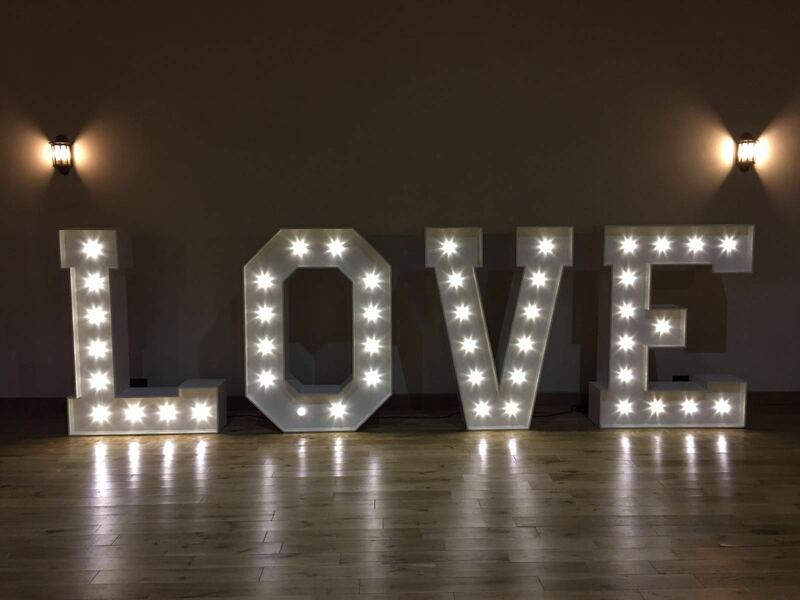 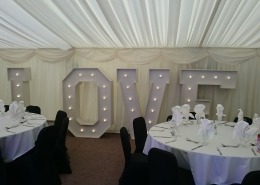 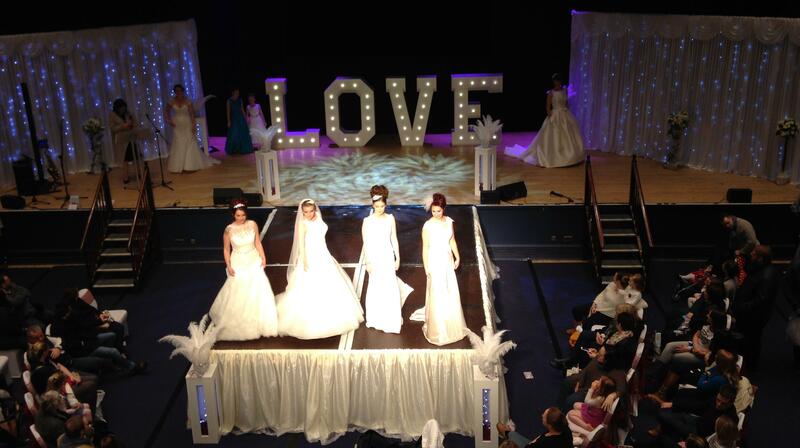 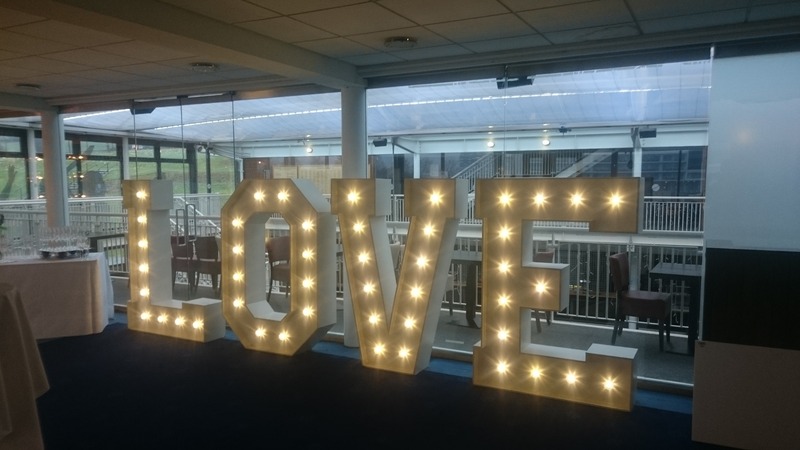 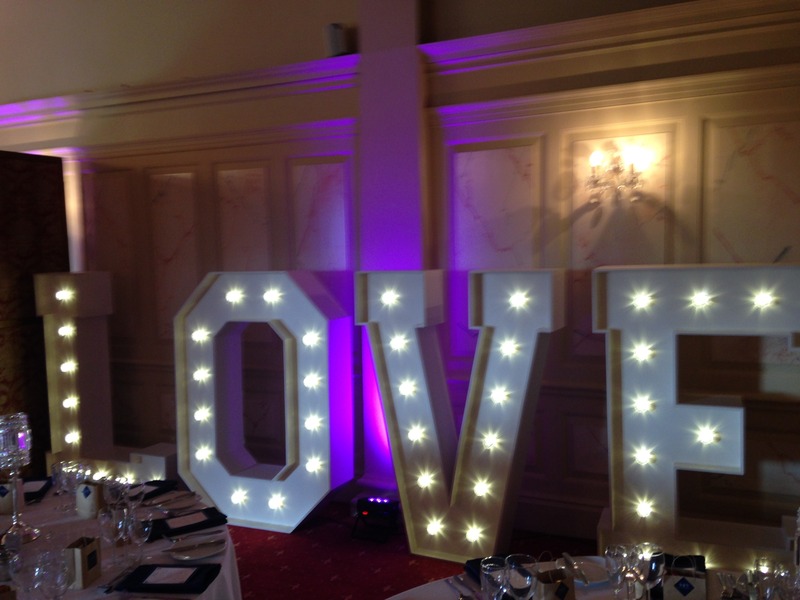 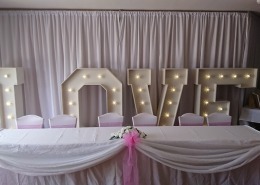 The GIANT 5ft LED LOVE letters look great behind the top table as a new contemporary look or on the stage, dancefloor or even as an entrance piece and the 4ft version will fit anywhere adding a touch of class. 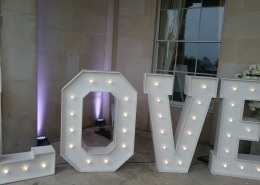 Most of our letters as standard are fitted with white fairground style LED bulb in a crystal finish which are clear. 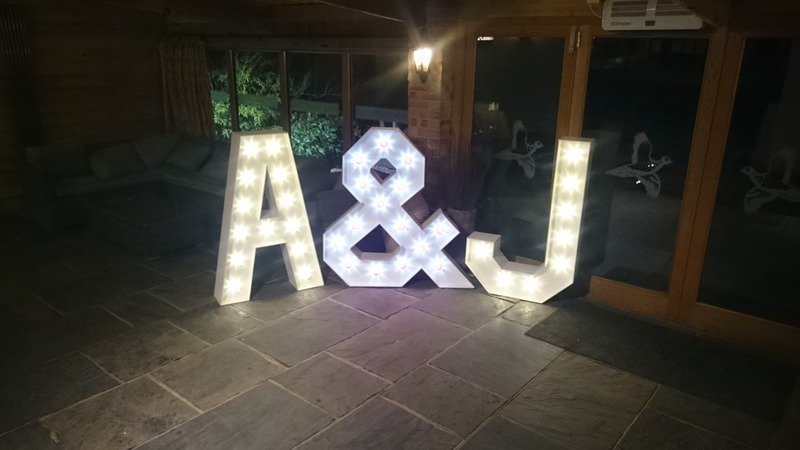 In addition we stock a wide variety of different colour caps, these can be added to your order. 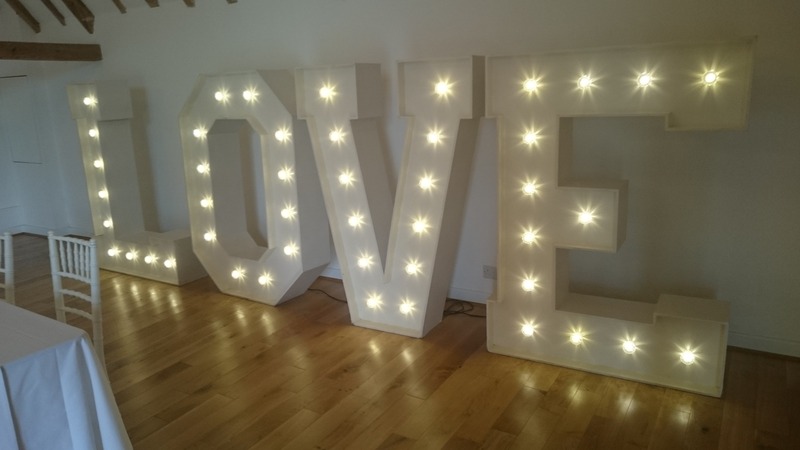 Our Light up Letters are Handcrafted in the UK.